Welcome to the Dan330.com Blueberry Recipe page. This is basically the how, why, and ways blueberries can Get. In. My. Belly! We talk a few things blueberry related, then give you tons of links to recipes at the bottom of the page. Don’t forget to stay up to date with us on Facebook, YouTube, Pinterest or Twitter. If you want to get behind the scenes with us, join us on Periscope! If you are looking for more than blueberry recipes, check out our main blueberry page, or learn how to grow your own blueberry bushes here. This blueberry recipe page is also part of our larger food category. If you are looking for more fun food, you might also like these pages too: S’mores, Tailgating, Manly Food, Crock Pots, Healthy Crock Pots and Chicken Crock Pot Recipes, Blueberry Recipes, Comfort Food, Drinks, Fall Recipes, Fresh From The Garden, and more. Blueberries are a fresh produce that can be found locally almost everywhere in the country. It is considered to be in season during the summer. With proper cultivation, blueberries are in season most of the year in the grocery store. If you are a Do-It-Yourself’er, or gardener, you can grow your own blueberry bushes and enjoy the sweet fruit most of the summer. If your are buying blueberries from the store, select blueberries that are firm and have a dark blue color to them. Some garden varieties will be slightly different colors but the commercial ones will certainly be dark blue. Blueberries will often have a white or shiny coating that will show your fingerprint if touched. Store-bought blueberries can be kept in a refrigerator for a week. 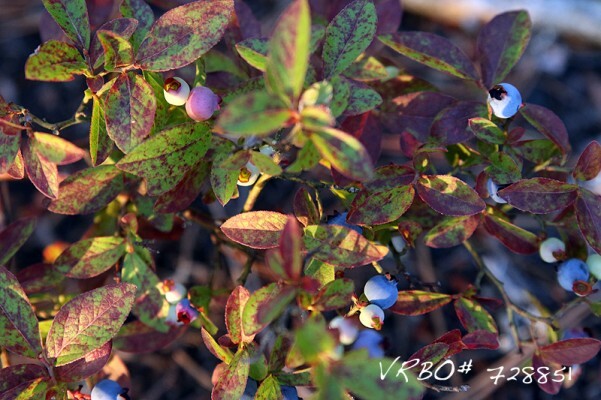 But wild blueberries will last much longer. When you are ready to eat them, simply rinse in cold water and let dry. If you are a health freak, don’t be frustrated that all of the most popular recipes are desserts or carb-filled breakfasts! There are a lot of ways to enjoy blueberries. I like to eat them by the hand full fresh off of the bush and on top of salads. Although there are thousands of blueberry recipes and just as many ways to eat them, there is no doubt a few recipes stand out as the most popular … and with good reason. This page is dedicated to blueberry recipes in general. If you are looking for the best of the most popular recipes, check these pages out. See other great blueberry recipes here, or for more information about blueberries, visit our main blueberry page and learn to grow your own blueberry bushes here.